ECMS has always been involved with the local community and with PBSC staff and students. Our most recent endeavor is helping make PBSC the best Welding Program in South FL. ECMS has begun donating scrap metal to the PBSC Welding Program. 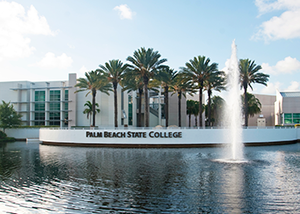 Currently, PBSC is the largest higher education institution in South Florida with over 48,000 students, featuring 5 campuses and online courses. They also have the lowest per credit hour rate available. The welding program PBSC currently offers is a year and a half course that costs less than $3,300 compared to other schools that would cost over $20,000! PBSC students will be able to fabricate on beams and other large industry material, giving PBSC welding students a huge advantage as no other welding programs offered have this opportunity. We are working directly with PBSC Welding Instructor Anton Pastuszak to help students become “turn key” fabricators upon graduation which he believes will be “easily achievable” with our donations. By making the PBSC welding program the best in South Florida and at the lowest rate, we know we are helping make the future generation successful. We are proud to be a part of this effort and will continue to donate to PBSC.